This proposal for housing along the River Irwell affords residents the convenience of city life in a lush green environment along the waterfront. LIVING ALONG THE CANALS: The canal and river system provides a wonderful opportunity to be revitalized and used for commerce, transportation and recreation; connecting England to itself. Apartments along the new canal come with a barge summer home that plugs into the apartment, extending the living space into a floating sunroom with extra bedroom, kitchen and bath, making this a "two for one" package deal. There are 2 mixed-use residential and commercial buildings on the large site. The big building constitutes the first phase and consists of 90 apartments, 20commercial spaces and two levels of parking (120 spaces). The smaller building to the north is the second phase. 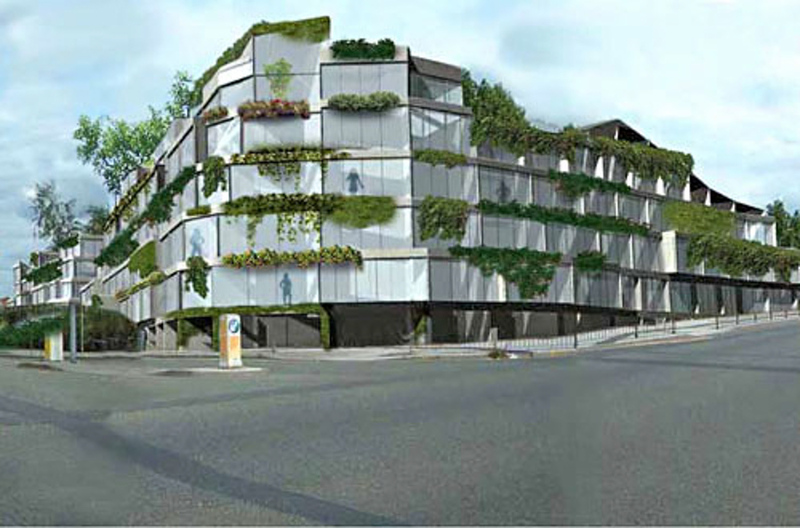 It consists of one level of parking (28 spaces) and approximately 30 residential units. The site along the river to the North has another four story building to be used by maritime related tenants. 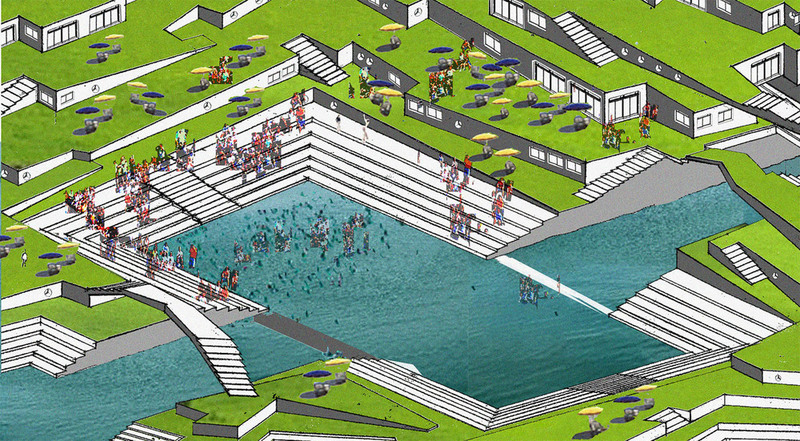 WATER: POOL, ICE RINK, FLOATING THEATER, MARKET AND BARGEBUS: Water is synonymous with life. 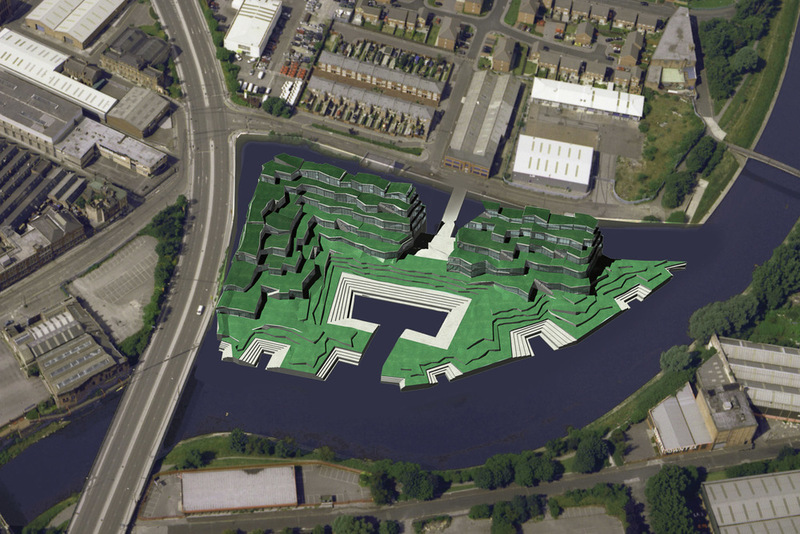 This proposal attempts to bring life to the site and Salford in general. Swimming, ice skating, and floating performances are just some of the activities that could take place in the Water Plaza. Boating is the most energy efficient means of transportation and this project capitalizes on its location along the Irwell. The Building on the East side of the river houses a dry dock and boat shop for repair and maintenance of barges and boats. Both the BargeBus and dry dock would provide employment opportunities for local residents. Above the dry dock are rehearsal spaces for the Floating Theater that performs in the Water Plaza on the site when not touring the waterways of England. The canals are an underutilized link between city and countryside that provide the opportunity for a floating farmers market that could visit the site weekly. In addition, we propose to initiate a BargeBus transportation system throughout Manchester, with the management offices located at the Springfield Lane site. Barges are incredibly fuel-efficient, providing a pleasant way to travel that avoids road traffic and reduces pollution. LANDSCAPE AND ECO-ROOFS: Inspired by the lush green landscape around Manchester, the stepped landscape is a playful interpretation of the traditional English Garden. The ascending grassy knolls provide urban residents with both public gardens and private lawns at their doorstep, even for people living in a 4th floor duplex. 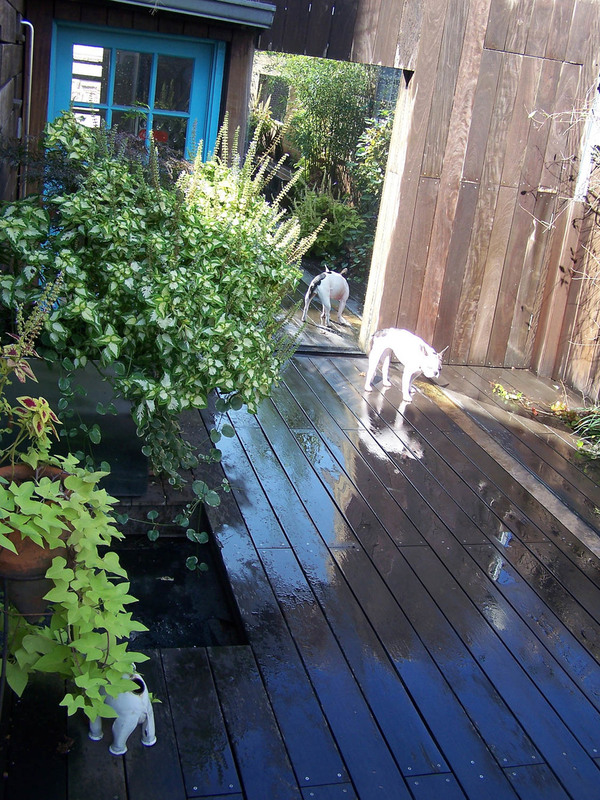 Access to green space and water add considerable value to a property. 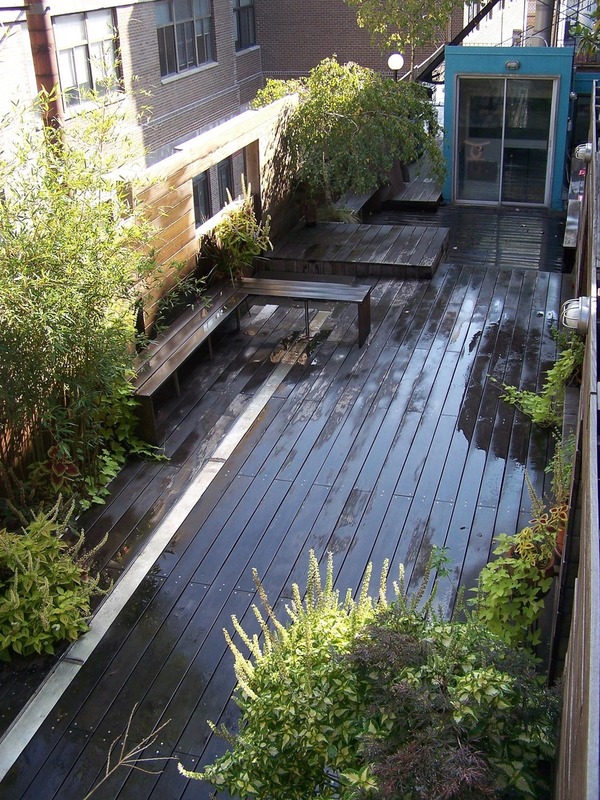 Eco-roofs are gaining popularity due to their sustainability, energy efficiency and agreeable appearance. The thermal mass of soil and grass combined help to reduce heat loss during winter and heat gain during summer, reducing overall fuel consumption and costs. Eco-roofs also block ultra-violet light preventing deterioration of the roof membrane. Grass roofs provide water storage during periods of high rainfall, reducing runoff to the local drainage system, and the rain water that percolates through the roof can be filtered and used. 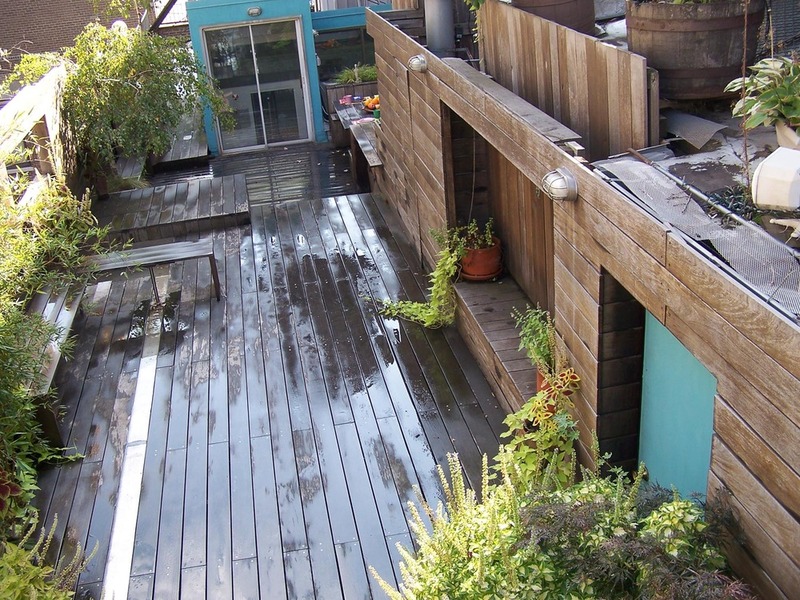 In urban areas, Eco-roofs provide a habitat for wildlife and filter the air through the photosynthesis process. OUTDOOR CINEMA: The outdoor cinema space at the Southwest corner of the site uses the building as a projection surface for films and advertising that are easily visible to commuters along Trinity Way. The proposed design creates a programmatic, cultural and spatial connection between Lt. Petrosino Park and its surroundings. A hanging garden extends from the facades of the surrounding buildings to a series of columns within the park. Neighboring residents are invited to participate directly from their windows in selecting, growing and planting the flowering vines and ivy which constitute the garden. This simple gesture provides animated patterns of light and shade at street level, and a view of the entire street through a levitating tapestry of rich greenery and brightly colored flowers from the windows above. The existing 7000 square foot park is located at the intersection of Lafayette and Kenmare streets at the threshold between Chinatown, Little Italy and Soho. The simple framework of cables and columns also provides an ideal structure for a variety of community interventions. The Italian community may decorate the columns and cables with shimmering lights during the San Gennaro Festival or Christmas, while the Chinese could use the park for hanging elaborately colored lanterns or dragons during the Chinese New Year festivities. During the summer local artists may hang projection screens for film and video festivals or create sculptural works that use the columns as a structural base. Participation may be as passive as simply smelling the flowers at the window or as active as designing special features for park events and the customization of your own window box. The design of the structure and landscape allows the park to function like a flexible extension of New York City's urban fabric, incorporating a variety of diverse contributions into an ever-changing collage of city culture and vegetation. By using the sky plane as a garden, the design reduces noise and air pollution to the surrounding residences, puts planting out of the reach of vandals and adds a whole new level of interest from the ground level. 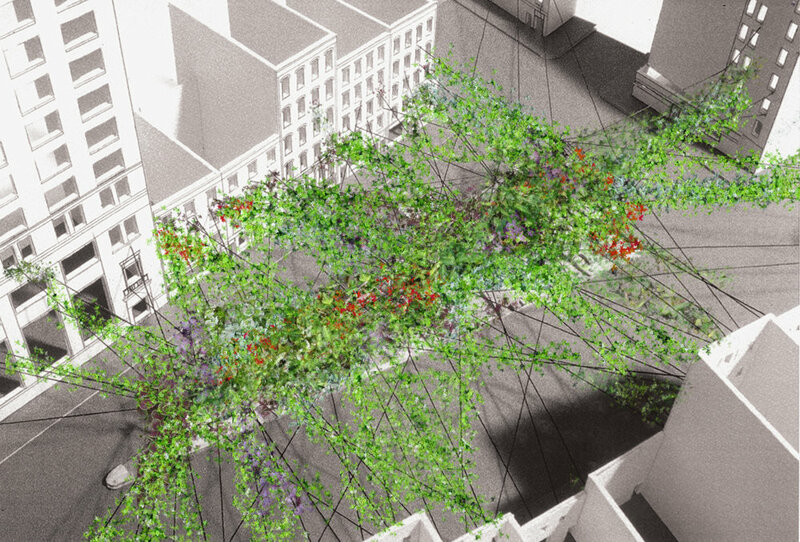 Spatially the pergola serves to integrate the streets, sidewalks and building facades into the park, creating a kind of giant exterior room whose walls, floor, and ceiling are alive with the energy of the community. Within the park, areas for seating, playing and entertainment are integrated into a playful unfolding landscape of paving, planting and water that inspires joy and interaction between people and the parkscape itself. This is a living park, transformed each season by the imagination of its users. 40 million bed springs are dumped on to landfills each year in the US alone. 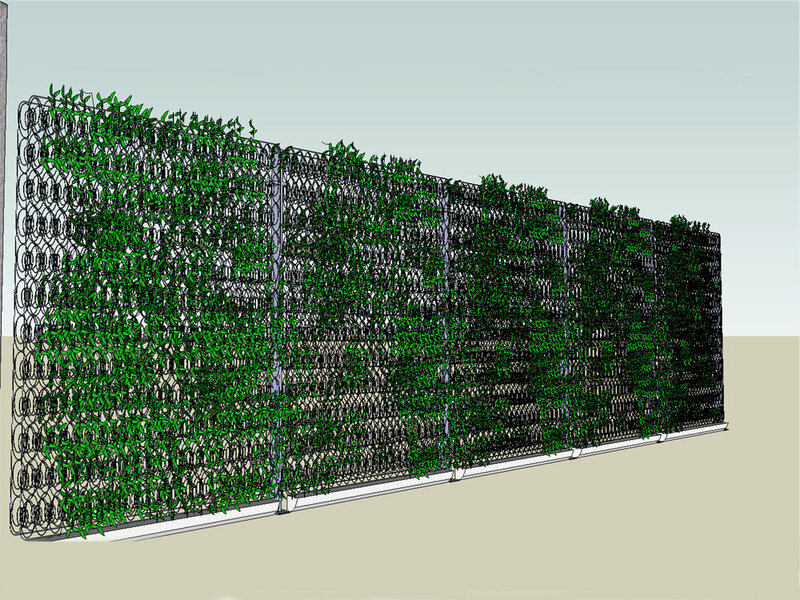 By combining the two rapidly growing industries of green wall systems and mattress recycling, "Green Springs" intends to help reduce landfill waste and to encourage the beautification of urban landscapes using discarded bed springs to create green walls and roofs. 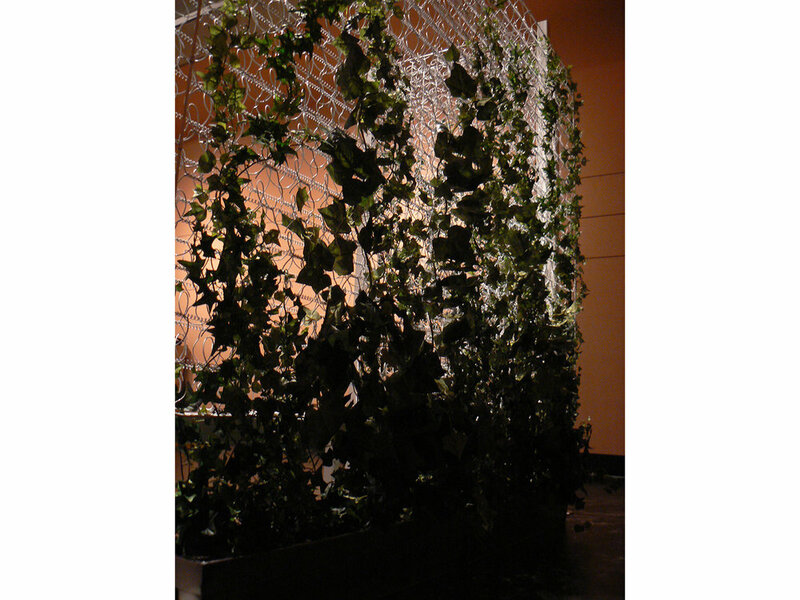 These "Green Springs" can function as free-standing screens, attached to existing walls and buildings or as horizontal trellises to create green roofs. Green Springs intertwine plants and climbers, utilizing a simple irrigation method (ideally using re-cycled water) which , when mature will generate a vegetated habitat, give year round color, and create a lush green space without encroaching on or using valuable land. 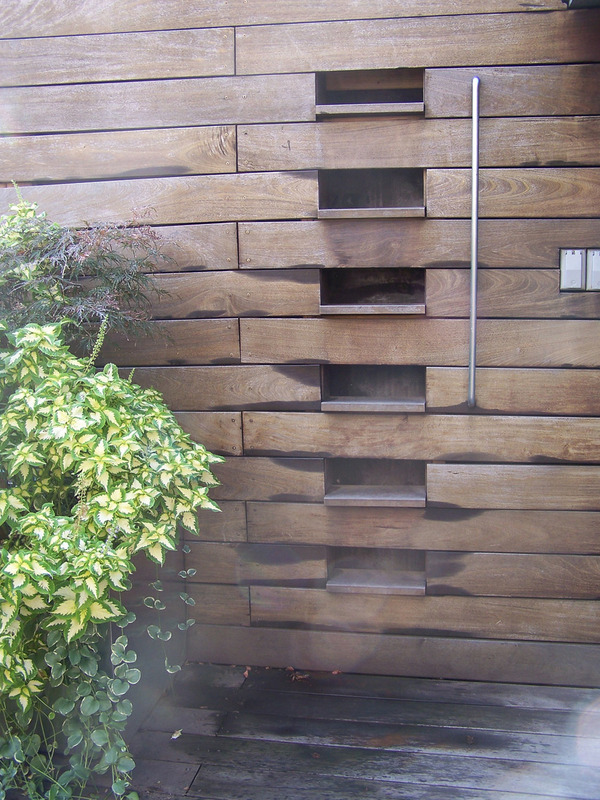 Green Springs, used in conjunction with the planter box can be used to green and enhance the beauty of any bleak urban façade. 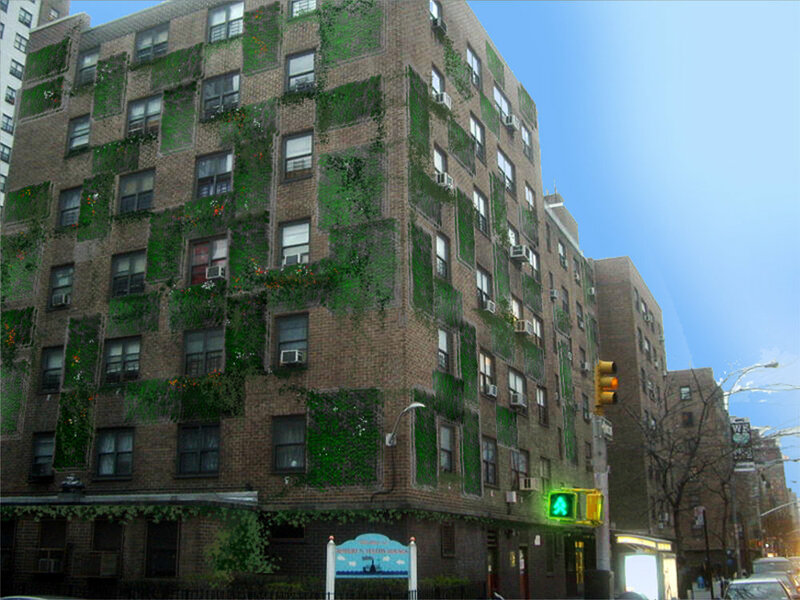 The planter mounted outside any window and connected to the spring that is attached to the façade, allows for climbers to grow on to it and thus greening the façade. Cantilevered above windows with a planter below, various climbers can connect to the springs via cables and create a canopy of greenery and shade above the window. Non-clinging ivies and climbers can be used to avoid any damages to the walls. They may be flowering, annual or perennials and depending on the direction the façade is facing a variety of different types of plants may be used on the green springs. Green Springs absorb carbon dioxide, release oxygen, and reduce greenhouse gases into the atmosphere. They reduce energy consumption by keeping the building cooler in the summer and greatly reducing "heat island" effects. Samarkand was a famous trading city along the Silk Route from China to Egypt. The site for the Ulugh Beg Cultural Center is on an empty tract of land in the middle of the city split in two by an old canal. Contextually, it is at the juncture between conflicting street patterns, surrounded by a modern hotel, Greek revival Opera House, Russian block housing, traditional Persian style homes (mohallahs), and a beautiful old Mosque/Madrasa complex. Beneath the mound at the northwest corner of the site, additional remains of the old citadel are believed to be buried. The program includes, Planetarium and Observatory, Open Air Festival Area, Exhibition Halls, Museum with Restoration Studios, Crafts School, Library of Ancient Manuscripts, Multifunctional Hall, Music Hall, Open Air Theater, Low-rise Hotel and Parking Area. Historically, Samarkand was a bridge between distant worlds, allowing for passage through and meeting at its middle. Upon entering such a city the traveler is drawn to its center where information and goods are exchanged. But the trader is perpetually bound to a life in motion and soon follows the path that will carry him away from the city. The proposed cultural center is organized by opposing forces that gently spiral past each other. The centrifugal force reads as a wave traced in the landscape, gently cutting terraces in the existing slopes, while the inward spiral is a continuous gateway marking the ascending horizon. 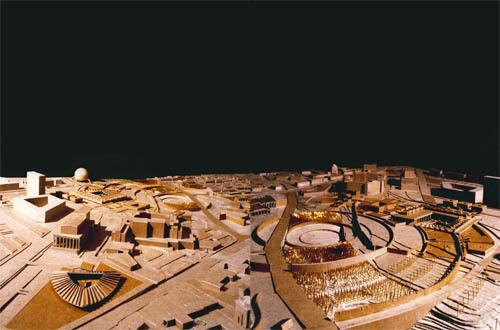 Between the two spirals, layers of space are formed from which buildings and gardens take shape. The Museum spins into the earth to reveal buried artifacts beneath. The circular site is sliced like a pie, each section being divided by a garden. At the Northeast edge is the Chinese Garden, to the East the Indian Garden, to the South the Persian Garden and to the West the Egyptian Garden. Filling the dry canal that cuts the site in two is a garden of solar collector panels, that follow the sun's path supplying power to the various facilities of the Center. From the center the landscape folds up creating a vertical depth, a dish to hold the sky. The traveler, having reached the meeting place, is carried from the center on a wave, crossing the same thresholds form the opposite direction. To pick oneself out of the field of gravity and wait until a new place arrives.